A wonderful New Edition published in 2006 in Nepal, from where the teaching of the Shivapuri Baba first originated! Nine new rare photographs of the Shivapuri Baba. 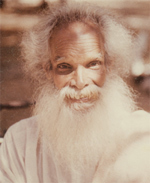 Bennett writes of a remarkable saint of our time: a 137 year old Indian saint. The guide to Right Living described in this book is extraordinary in its simplicity, yet adaptable to any age or culture.